When he agreed to coach the Bethesda Green sponsored basketball team, Connor Garrity thought he was signing up as an assistant coach. Head coach David Breslaw was returning for another season, and Connor would be his assistant for the summer. But for Connor Garrity and Bethesda-Chevy Chase High School basketball summer league team, very little went as planned. Days before the first game, former B-CC Head Coach Breslaw called up each of players to inform them that he would be leaving to coach at his alma mater, Richard Montgomery High School. While the move was not entirely unexpected, it still came as a shock to the players and to Coach Garrity, who was thrust into a new role as head coach. Facing tough circumstances, Connor Garrity impressed. “He did a great job motivating us,” one of the players said. “He did everything we could have asked of him, considering it was his first head coaching gig. When Coach Breslaw left, we weren’t sure what kind of coach we would have, but now all of us are thankful to have had Connor as our coach.” With Garrity as head coach, he guided the Barons to a 3-6 record. Named the “Bethesda Green,” the team is composed of 13 players entering either their junior or senior years at B-CC high school. Some of the key players included seniors Matthew Lawrence, Eric Tschiderer, Nick McGreivy and Riley Markham. 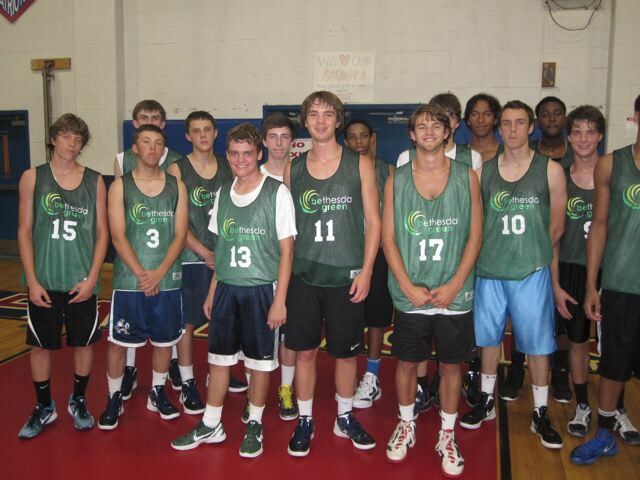 Bethesda Green and Federal Realty Investment Trust sponsored the B-CC summer league team. A special thanks from the players to Bethesda Green and Federal Realty for their support of the team and of B-CC. 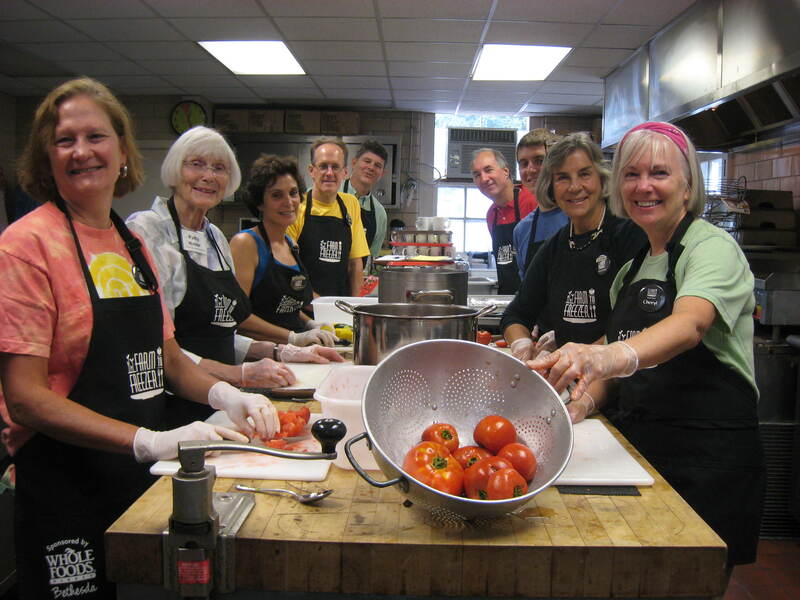 Several years ago, if you had told friends and neighbors Connie Griffith and Debbie Kaufmann that they would be manufacturing and selling barbeque sauces, they would have looked at you and laughed. 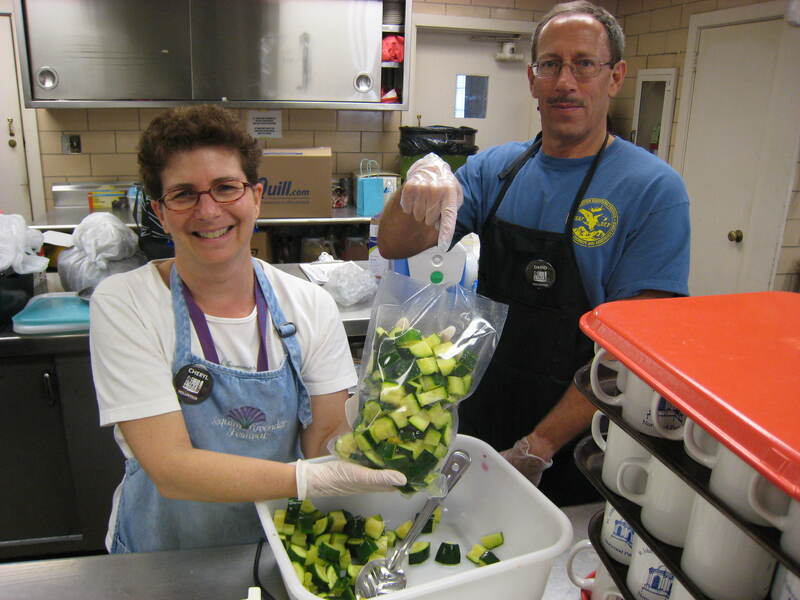 Back in 2006, Connie was an established administrator in the medical field, and sat on numerous boards, planning fundraising events and participating in board activities. Debbie was directing corporate communications for Japanese company Otsuka Pharmaceuticals, Ltd.’s three U.S. pharmaceutical subsidiaries, happily ensconced in her busy corporate existence. Both were also busy with their daily social agendas and traveling for both work and pleasure – who would even think about making sauces? The one person who did think about making sauces – all the time – was Connie’s husband, Ron. A professional salesman in telecommunications, in his spare time Ron loved to cook and was a fabulous grill master who created and perfected numerous sauces and mixes for meats, poultry, seafood, and other foods, along with recipes for healthy preparation for all of his sauces and mixes. Ron was a colleague of and close friends with Debbie’s husband, Steve, and the two spoiled Connie and Debbie with delicious dinners as they arrived home from work – grilled wings, barbequed chicken, ribs, shrimp scampi, crab cakes and other favorites. And the Bloody Mary’s were always a hit – all of Ron’s creations were requested by family and friends alike for parties, tailgating (tailgatoring, as Connie and Debbie now call it), easy, healthy dinners at home, and of course, grilling and barbeques. After years of receiving these requests, Ron recognized the interest and desire of so many people for his zesty sauces and mixes, and began to research manufacturing and selling them to food lovers everywhere. This came to a screeching halt when, in September of 2007, Ron was diagnosed with amyotrophic lateral sclerosis (ALS) also known as Lou Gehrig’s disease. His number one priority became dealing with the care and treatment that he would require. Connie immediately resigned her position on boards to spend every possible moment with her husband. Two years after his diagnosis, Connie left her position in the medical field to become his full time caregiver. Debbie’s position with Otsuka was relocated to New Jersey in 2009, and choosing not to move, she started a small communications consulting firm, which ultimately led to her working full time for one of her clients. During the two years that Connie cared for Ron, he subtly encouraged her to take on his mission. Knowing that Connie was not a cook, he would sit in his wheelchair in their kitchen and teach her exactly how to prepare each of his secret sauces and mixes. He used the excuse that he wanted some of his creations for dinner; otherwise, he knew, without his request she would have ordered take out or delivery! He told his mother he was sorry he’d been unable to start the company so that Connie would have something to fall back on. He continually encouraged Connie to find something to do when he was gone that she would love and that would make her happy. And shortly before his death, when Connie was making holiday gifts of Ron’s famous wing sauce and told him she was going to give their friends and relatives the recipes so she wouldn’t have to fulfill all of their requests, he whispered in her ear – barely able to speak at this point – and made her promise she would NEVER give out his recipes! When Ron passed away in November 2011, Connie went away to reflect on her life and decide what her next step would be. In the back of her head she heard Ron telling her to do something she loved, and what would be more appropriate – or make her happier – than to follow his dream. 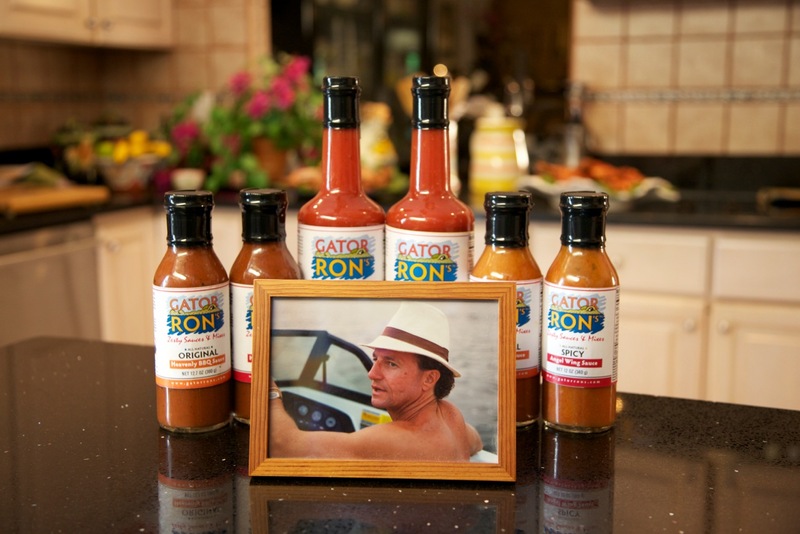 She returned home at holiday time, gave their friends and family their gifts of sauce, which everyone received with joy because it came not just from Connie, but from Ron’s creation as well, and in January, she contacted Debbie and Steve to ask if they would help launch Gator Ron’s Zesty Sauces & Mixes. The rest, as they say, is history-in-the-making! Connie and Debbie are going to production July 11-13, and will take delivery of 9,000 bottles of Gator Ron’s Zesty Sauces & Mixes – Gator Ron’s Heavenly Barbeque Sauces (Original and Chipotle), Gator Ron’s Angel Wing Sauce (Original and Spicy), and Gator Ron’s Divine Bloody Mary Mix (Original and Chesapeake). All products are made with all natural ingredients and free of gluten, and are accompanied by healthy recipes for preparation. 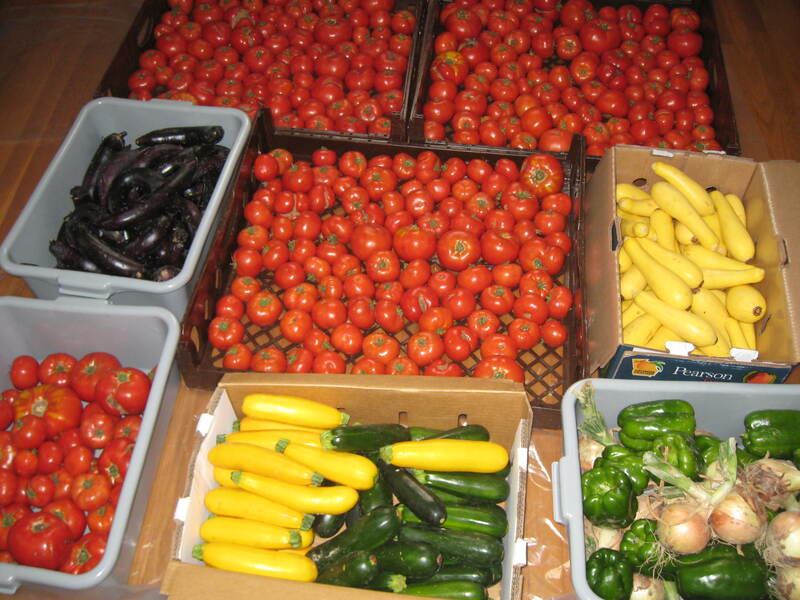 Future sauces will include Shrimp Scampi, Teriyaki, and Crab Cake mix and other favorites. And a major goal is to manufacture through a dedicated gluten-free facility, using all organic ingredients in the near future. Steve, a professional sales manager in telecommunications, will be directly involved with sales of Gator Ron’s Zesty Sauces & Mixes. Connie and Debbie (now, the Sauce Ladies) will be selling the sauces via their website (www.gatorrons.com), at farmers markets, charity fundraising events, and in stores and local markets as they establish relationships with these retailers. Ron’s father also died of ALS at the age of 59, and Steve’s father and aunt (Debbie’s father-in-law and aunt-in-law) were also victims of this terrible disease. The three partners have a strong passion to see research for ALS progress to a point where treatments may be identified. As such, a percentage of proceeds from all sales of Gator Ron’s products will be donated to ALS research to help find a treatment, and ultimately a cure, for ALS.